Check out Joe’s Movement Emporium’s fabulous line-up of kid-friendly performances this April! Fairies, clowns and bunnies run our black box theater this springiest of months and we can’t wait for you to experience the magic of Joe’s! Scroll down and pick your pleasure! Use code: April@Joes and buy two tickets, get two tickets free! 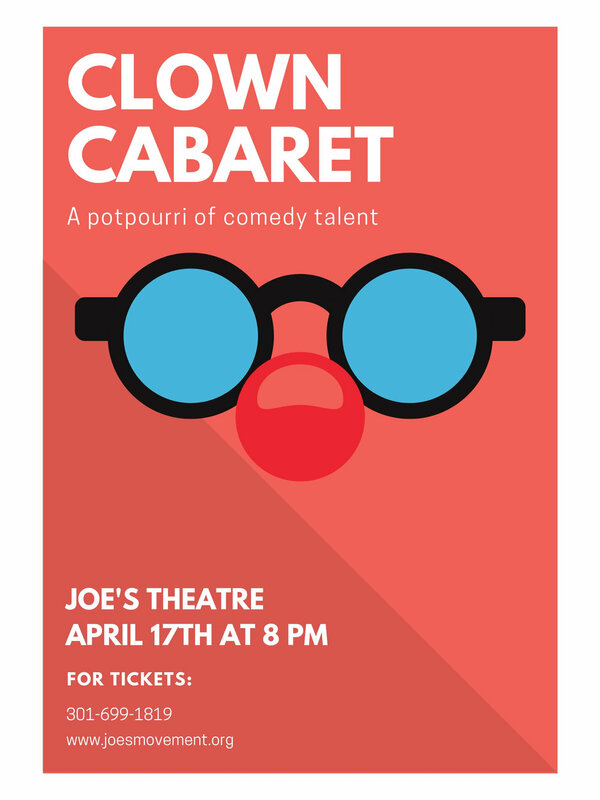 Clown Cabaret produces a potpourri of amazing comedy talent, including veterans of Big Apple Circus, Ringling Bros., Cirque du Soleil (and more), and graduates of LeCoq, Gaulier, and Dell'Arte schools (and more). Come see a variety of ... variety performers who are stretching to create better, stronger, funnier acts. We know how it works on paper and in the studio; the next step is getting it on stage! Come join us and be a part of the process! A play with music and dance for kids of ALL ages. Bounce! is an energetic, 60-minute, family friendly tale of a struggling city where greed has poisoned the well, but where friendships blossom between the cracks.